The use of psychics in investigations is more and more getting a spotlight in the news, sensationalized by the media when there is even a close hit. This is a common trend in the world of paranormal to only report the hits. It doesn't really make a good story to say 'A psychic provided a tip and it wasn't right'. So these stories get published and people believe psychics have the ability to find bodies. I can completely understand a parent who has lost their child using any possible means to find their loved one regardless of the truth behind the method. I would likely follow up on a tip from a psychic simply because the ramifications are to great if I didn’t and it was correct. But for an investigator to actually employ a psychic in a murder case is a scary subject. No psychic has ever stood up to a legit unbiased study (to the best of my knowledge and if someone can point me to someone who has ever done so please share it with me) and therefore should not be used in the pursuit of a truth in a murder/crime. That being said anyone can make an educated guess as to the location of a body if they know enough about the case. I give the example of the Calyee Anthony murder case. Dominic Casey (a private investigator hired by the Anthony to help look for Caylee) alleges that a psychic contacted him and told him she had had a vision, and that Caylee’s body would be found in a wooded area not far from the Anthony’s home. And so she was. Was this person truly in touch with the spirit world, or possibly making an educated guess? I suggest the later. I will explain. 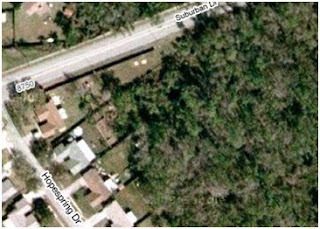 Here is a Google map view of the location Caylee Anthony’s remains were found and also the location Dominic Casey was directed to by the psychic. How on earth could she have picked the correct location? If we zoom out a bit you see that the Anthony’s house is right down the street (pin A). 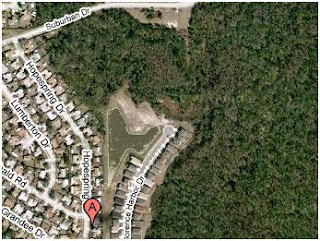 Knowing a little about the case and the suspect, Casey Anthony, anyone could make a pretty good guess of that location. Casey is not a hardened criminal. Assuming she did murder her daughter for whatever reason. She would likely be extremely impulsive while disposing of the body. The closest place she had access to would be very likely. The remains were even on the right side of the road pointing to a car traveling east. Anyone could have made that guess. I also have a feeling this so called “psychic” just might be proven to be none other than someone with close intimate knowledge of the location. Suspect? Now the scary thing is that if it is a lie and the psychic story is not even real what would possess a presumably professional investigator to use that as their reason for checking that part of the woods. So that leads me to think HE thinks it was a psychic. He claims not to believe in them but if you’re going to use words like “freaked me out” you are a believer. My first thought, wouldn’t be “Freaky! How did she know?” Mine would be “let’s bring her in for questioning”. 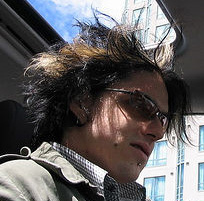 Dominic in his deposition even stated there were other psychic tips and he never followed up on them. Because the guesses where not plausible (i.e. stuffed in the gas tank of the car). Every large case would have a number of self proclaimed psychics calling and hoping for the publicized hit. If you were the one who found “that missing person” you turn from a $50 per hour unqualified councilor into a $3000 an hour TV dead guy whisperer. It is ludicrous. When this case broke and Casey was charged and did herself in with all her lies, I guarantee there were several people out there thinking the same thing the psychic “saw” but don’t claim a vision. Any thought in your head could appear like a vision if you are deluded into thinking you have some super power. I know I used to believe I was a super hero. Then I woke up and saw myself for what I was. Maybe a bit intuitive, but not psychic. I don’t doubt there are millions of people who would disagree with me as their psychic is right to often to not be psychic. But I can counter that with a prediction of my own. That their psychic when put in front a controlled test would not be right any more than common probability dictates.